Let’s hear it for the Stomp Brigade! It’s almost time and your captain is getting revved up. 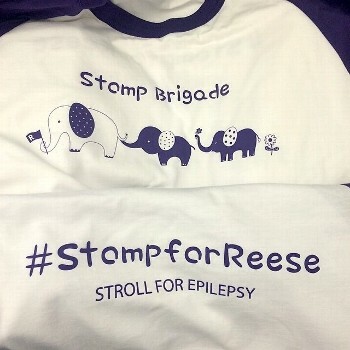 We are bringin’ it for our little Reese! Check out our awesome shirts. If you don’t have one yet, we will have it ready for you Sat morning 9am at the event site. Visit our team site if you’re interested in joining us this Saturday.